Consideration 1. Have you thought about staffing structures? Across the K–12 education landscape, teachers have by far the biggest impact on student learning and student experiences. Even in classrooms with the latest adaptive learning technology, an expert teachers’ professional intuition is still the best way to understand and address the myriad cognitive, non-cognitive, social, emotional, and academic factors that affect students’ achievement. Additionally, one of the most valuable forms of personalization is authentic, personal relationships between students and teachers. It, therefore, makes sense that any school looking to offer personalized learning should not only explore new technologies and instructional practices, but also think carefully about how to increase students’ connections with great educators. In our recent research report in partnership with Public Impact, the Institute found that team teaching increases supportive relationships, as having many eyes on each student helped keep students from falling through the cracks; increased students’ chances of forming a strong, positive connection with at least one adult; and decreased the odds that a student risked going through a year with just one “really bad fit” teacher. The report also found that support staff help schools personalize through small group instruction, giving students individualized support and relationships that helped them see success is possible. Finally, the report revealed that blended learning, a modality often used to personalize learning, gave school increased flexibility in how to best use their educators’ time and talents. By letting online learning provide some instruction, educator teams could focus more on coaching students and addressing their individual needs instead of worrying about covering their course content. Software also gave educator teams data on student progress that allowed them to make their planning and interventions more targeted to students’ needs. Consideration 2. Are you personalizing supports? To yield more equitable outcomes for students, personalized learning can’t just mean an overhaul of academics and software alone. 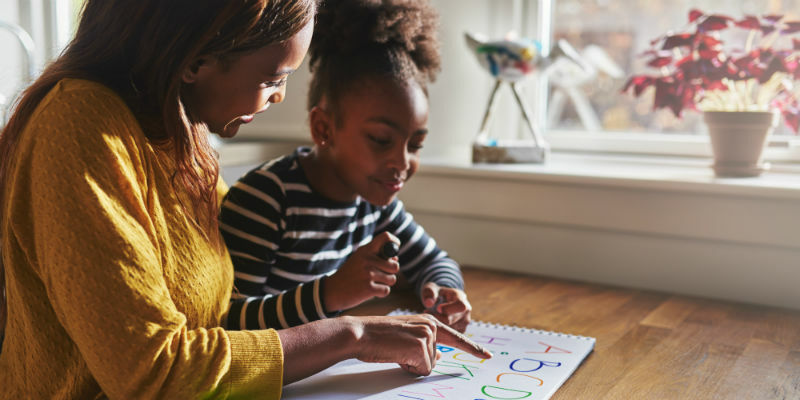 Instead, personalized learning will also require personalized supports and connections, since no series of 0’s and 1’s amounts to truly knowing students and their families. Today, a variety of models that aim to bring more than just academics to bear in schools are often dubbed “Integrated Student Supports.” Of course, not all integrated approaches are created equal. While schools may take pains to increase health services or to invite parents to be more involved in school, many such efforts fall short of linking back into what’s happening in the classroom. Based on our research, we hypothesize that when it comes to increasing academic outcomes, the most successful of integrated support models, like PowerMyLearning, aren’t merely expanding access to those crucial services or connections. Rather, they actively keep teachers in the wraparound services and family engagement loop. As a result, teachers’ academic decisions can be sensitive to the non-academic factors present in students’ lives. Another model, City Connects, supports this hypothesis. City Connects integrates a range of targeted poverty relief and afterschool services into schools. It has shown impressive academic gains among students, with those gains persisting well past the years students are accessing services. Examples like City Connects and PowerMyLearning are an important reminder that the same way in which personalized instructional models focus on using instructional data to target learning, personalized support models also hinge on high quality, longitudinal non-academic data. Luckily, tools are starting to emerge to make these data-driven practices more feasible. Consideration 3. Are you thinking beyond only digitization? Personalizing learning without technology is a daunting task reserved for some of our nation’s best teachers. However, technology combined with factory-model classroom structures will not achieve personalized learning. In other words, what sort of classroom are we inadvertently creating if we simply digitize the factory model itself? A classroom can incorporate technology without actually changing the classroom model and the way students learn. For blended-learning models to have their fully transformative impact, teachers must help students understand the purpose and relevance of their learning, consistently employ formative assessment strategies and respond to the results, and be able to offer students distinct paths to reaching meaningful learning goals. These skills are not unique to blended classrooms—teachers have been employing these strategies without technology for years. But blended approaches, with the help of technology, can bring these critical strategies to scale.